It’s difficult to access the real cause of adult acne. The most common explaination is given as excessive sebum produced by your skin, blocked pores and bacteria. It’s also associated with the type of your skin and how they react to the bacteria when they get exposed to them. On the whole, it’s a very complex issue. But the problem is, most adult acne victims hardly know the causes of it. I’m working hard doing the research and writing articles for the causes of acne. Adult acne affects majority of people commonly at the puberty beginning but it does not mean that it affects the younger generation only. Adult acne can affect any individual in their adult life in their forties, fifties and after it also. This may not be that common but still may happen. The body in an overdrive produces hormones called androgens. Androgens make the sebaceous glands enlarged and over stimulated. This means that the extra sebum (oil) that is developed by the sebaceous glands gets mixed with bacteria and dead skin cells on the skin’s surface which blocks pores. Inside the blocked pores, bacteria multiply which causes pimples, spots and pustules that are associated with adult acne. It is not just the spots themselves that some unfortunate people have to contend with but also the possible adult acne scars that can be left as a regular reminder if not treated sufficiently and in time. Genetics. If your siblings or parents are affected from adult acne growth then it is likely you will follow suit. Steroids and medications, although sometimes used to cure adult acne can also sometimes lead to its flaring up. Oily make-up especially specific foundations and even moisturisers can clog the skin’s pores. Very harsh and caustic facial cleansers or toners that dry out the skin which results in the body producing more sebum to protect itself which means more spots. Picking existing spots or blackheads can only spread the infection and can cause adult acne scarring which in severe cases of adult acne causes permanent scarring. You can be assured that spots/adult acne is not affected by dirt or a lack of hygiene and you can not catch adult acne from anybody else, it is not infectious or contagious. What you eat does not directly cause adult acne although drinking plenty of water, exercises, getting plenty of beauty sleep and eating lots of fruit and vegetable is certainly fruitful as what you put into your body will certainly show on the outside. In majority of cases, people usually grow out of adult acne from their mid to late twenties as with age the skin is less youthful and perhaps less greasy as it once was, although everyone is prone to a spot breakout now and then; it is hard to go through life without suffering from a single pimple. 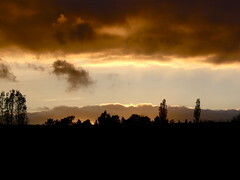 The good news is that there are some superb treatments available, some natural and some prescription. If you look for a skin specialist or a doctor’s advice, you will get a solution suitable to you. The following is an oral video which I managed to source out where New York dermatologist Dr. Ariel Ostad talks about the causes of adult acne. Its pretty much worth listening to. Now that we have known the basic causes of acne, lets delve into it a bit deeper. There is a strong genetic link in families, so if one family member has had acne then the next generation is much more likely to have it too. Genetics can also determine when your acne is more likely to start and stop. However, this does not always follow, as some children whose parents did have acne may find themselves acne-free. While genetic factors do play a part in acne, therefore, they aren’t fully understood, and it may be that other factors, such as lifestyle or environmental conditions, are required to trigger acne outbreaks. Acne is almost certainly caused by hormones, in particular androgens, which produce male characteristics and include testosterone. Both men and women produce androgens, although in varying quantities, and one of the contributing factors of acne is the stimulation of the sebaceous glands during puberty by the androgens testosterone and dehydrotestosterone (DHT), which ignite acne. Pre-pubescent acne is uncommon, as androgen production before puberty is minimal, while pubescent acne is most commonly caused by significant hormonal changes for both sexes. As adolescent boys naturally have more male hormones, including testosterone, they tend to be more affected by acne than girls during the teenage years. The constant flux of hormones during this stage may make acne difficult to treat, and it can often be the reason treatment needs to be varied. You may find that what works initially ceases to be beneficial and a different treatment is needed; this all due to the hormones continually changing. Acne arising from hyperandrogenism has to be treated in conjunction with the other underlying health problems; as a consequence, several specialists or consultants, including a dermatologist, may be involved in deciding upon treatment. However in most cases, although acne is caused by hormones acting abnormally, it is not due to abnormal hormones. As hormones play a much larger role in females’ lives than in males’, it is little wonder that acne is more prevalent in adult women. Generally, adult men’s hormone levels remain relatively balanced throughout their lives, with a gradual decrease in testosterone as they age, although stress can affect their hormone production. Women naturally experience greater hormonal changes throughout their lives. Pregnancy and the menopause are both natural hormonal-changing conditions; while fertility treatment, the contraceptive pill and hormone replacement therapy (HRT) will all affect and alter natural hormone production. Even monthly menstruation can induce acne, and many pubescent girls – and even older women – will have experienced the dreaded spot or outbreak of spots just before a period. Women’s hormones can also be affected by stress, increasing the chances of outbreak. While you may have had a successful response to over-the-counter treatments for acne during your teenage years, the chances are these will not help adult hormonal acne. Consequently, in all cases it is necessary for acne to be diagnosed by a doctor or dermatologist. Increased stress from emotional or physiological causes leading to hormone stimulation and fluctuations. Supplements, such as those in bodybuilding formula, which result in acne. There have been several clinical studies that have identified stress as a major contributor to acne, in particular affecting existing acne. Stress affects acne in two ways: physical stress stimulates the adrenal glands to produce excess hormones, in particular testosterone, resulting in the formation of acne, while psychological stress is known to slow down the healing process of the immune system by up to 40 per cent, dramatically reducing the skin’s healing ability. Not only cans stress induce an acne outbreak, but it can worsen existing acne and affect the skin’s overall condition. Why and how it affects acne is related to the stimulation of the adrenal glands, which produce male hormones and androgens. It is these hormones, and particularly androgens, that stimulate the sebaceous glands, increasing sebum production and inflammation, which in turn results in the red, inflamed and pus-filled acne lesions so often seen on the face and skin of someone who is going through a stressful period. Further studies found that chemical reaction probably exists between acne, other skin disorders and stress. According to these studies, during stressful situations the hypothalamus area of the brain releases a chemical known as corticotrophin-releasing hormone (CRH). However, the oil glands of the skin also produce both CRH and CRH receptors, so when the CRH receptors come into contact with the extra CRH from the brain, excess sebum is produced, ultimately affecting acne and with direct consequences for the overall condition of the skin. As a result, individuals who have higher stress levels are more likely to suffer from acne and other skin conditions. So what is it that can create such a response in the body and bring about actual physical changes? Stress is regarded as a ‘physical, mental or emotional response to events that cause bodily or mental tension’. In what is known as the ‘fight or flight’ syndrome, the body automatically reacts to these responses by creating changes in hormone production and stimulating other chemical reactions within the body. These biological changes include the release of the stress hormones adrenaline, cortisol and norepinephrine into the body’s system. The armed response is to determine whether we need to stand and defend ourselves or flee – it is what helped our Stone Age relatives survive the life-or-death situations they faced. However, today’s modern living no longer requires what was once a survival necessity. Generally, we are dealing with daily psychological stress rather than real physical threats: the endless traffic jams, the constant juggling of family life and work, financial demands, the endless rushing around – all of these are what most of us would identify as stressful. And these daily and continual demands overload the body’s system, making it more and more difficult to shut off. Even when the crisis is over the heart rate, stress hormones and blood pressure may remain high. It is readily accepted that stress has both physical and psychological implications, increasing and inducing health-related problems such as heart disease, insomnia, depression, obesity, high blood pressure and disturbed sleep patterns, and affecting mood, self-esteem, self-confidence and acne. In turn, acne almost certainly increases stress. Although it is widely recognized that smoking can cause lung or mouth cancer, heart attacks, strokes, emphysema and diabetes, it is not so well known that smoking can also cause acne. The nicotine constricts the internal blood vessels, reducing the supply of oxygen the skin needs to produce new cells and causing blocked pores and spots. More damaging, however, is the reduction in the blood supply to the skin and the consequent lessening of its ability to produce collagen and elastin, which keep the skin firm and smooth. A smoker will look older and age more quickly than a non-smoker, as the skin ages faster. Researchers at the San Gallicano Dermatological Institute in Rome discovered a condition they called ‘smoker’s acne’, characterized by blocked pores, and large blackheads which are less inflamed than those of Acne vulgaris. According to the British Journal of Dermatology, women are particularly vulnerable to the condition. In a study of 1,000 women aged 25-50, 42 per cent of smokers had acne compared to 10 per cent of non-smokers, and smokers who had experienced acne in their teens were also found to be four times more likely to have the condition in adulthood than non-smokers who had experienced teenage acne. The research highlighted the fact that this type of acne, regarded as non-inflammatory acne (NIA), is common among smokers, with women who smoke four times more likely than non-smokers to develop NIA. Yet another good reason to stop smoking. Acne is not an infectious disease. Therefore, although the bacterium P.acnes does play an important role, the bacterium alone is not responsible for acne and neither does the severity of acne depend upon the number of bacteria on the skin’s surface or in the hair follicles. p.acnes is a normal bacterial inhabitant of the skin; it uses sebum as a nutrient, which is why more bacteria are present during puberty, when the glands become active. When the sebum becomes trapped within the hair follicle, the bacterium also becomes trapped and is able to grow unchecked, attracting white blood cells. This process triggers a chemical and enzyme reaction with the sebaceous material in the follicle that attacks and damages the follicle wall, allowing the contents to spill out into the dermis and causing an inflammatory response; red pustules, papules and nodules then appear under and on the skin. The bacteria break down sebum into fatty acids, which cause further irritation to the follicular wall, causing it to swell. Eventually, when the blocked follicle can no longer contain its contents, it bursts, spilling onto the skin. The process intensifies the inflammation, redness and pain in the skin commonly associated with acne. The lesions will vary in severity, depending upon the damage to the follicle wall and the amount of inflammation present. Interestingly, although this bacterium may be acne-inducing – indeed, people with acne tend to have more P.acnes in their follicles than those without acne – it is thought that it may also have immune-boosting qualities, and may protect from each other types of infections and even certain cancers. The fact that it is not fully understood why the hair follicles become obstructed – a process referred to as comedogenesis – is part of the reason a genuine cure for acne has so far evaded dermatologists. Environmental pollutants such as smoke, damp environments, other pollution and high humidity can cause or aggravate acne, as they block up and damage the skin. Very often these types of irritants can be work – or occupation-related. For example, if your job involves cooking or catering it may mean working in a hot and humid kitchen and you may find yourself with an outbreak of spots – or, if you are already predisposed to acne, you may find that your condition gets worse. Even the general pollution in your area can affect your acne: emissions from factories and refineries, the daily pollution from exhaust fumes and pesticides from gardens all contribute towards spots. 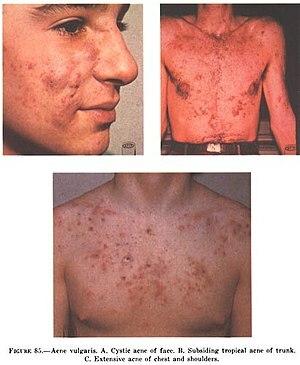 Very occasionally acne can be induced or affected by medication and drugs such as oral steroids. Even contraceptive agents, including medroxyprogesterone injections (Depo-Provera) and oral contraceptives, may aggravate acne, to the point where some woman may find they have to change their contraception choice. It is not known why some other medications cause or aggravate acne, but it is thought they all have a direct effect on white blood cells and the hair follicles. Medicines that are known to have an aggravating effect include anticonvulsant drugs for people with epilepsy, antituberculous drugs, antidepressants, lithium, halogens (iodines, chlorides, bromides, and halothane) and vitamin B12. Steroids, which are used to treat inflammation and auto-immune conditions, can also cause acne. Typically, acne from steroids usually appears in the form of papules, presenting mainly on the trunk; anabolic steroids, sometimes used by bodybuilders and athletes to build muscle bulk, are related to testosterone, the hormone known to affect acne. Both Acne conglobata and Acne fulminans, two severe types of acne, are common and very unpleasant side-effects of anabolic steroids. In most medication-induced acne cases, though, the acne only lasts for as long as the drug is taken. Even certain types of antibiotics may cause acne. Antibiotics affect the digestive system, destroying both the good and the bad bacteria in the gut, and this in turn influences the body’s ability to absorb essential nutrients, vitamins and minerals, leading to poor digestion and a build-up of toxins. If the body is unable to repel the toxins effectively through the kidneys, liver and bowels, it uses the skin and lungs. The result is often an outbreak of spots, which, like other medication-induced acne, will usually subside once the course of antibiotics is finished and the natural intestinal gut flora within the gut has settled. However, as antibiotics can be used to treat severe acne, this can sometimes lead to an antibiotic resistance to the P.acnes bacterium which is being treated. As a result, treatment options become more challenging. Acne cosmetica is a mild but persistent form of acne, characterized by small pink bumps. There may also be whiteheads and blackheads on the skin, which feels and looks rough. It commonly occurs on the neck, forehead, face, hairline and scalp. As the name suggests, it is triggered by the use of comedogenic (acne-producing) cosmetics, skin care and hair products. The cosmetic product stimulates abnormal growth of keratinocytes within the follicle, blocking it and creating a blemish. 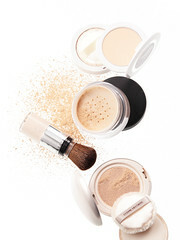 Cream blushers, eye creams, heavy make-up, heavy moisturizers, sunblocks and hair oil are often to blame. Applying more comedogenic make-up to cover the pimples will only make it worse. Usually, you can determine which products are creating the problem depending upon the area of the break-out. For example, if the spots are around the eye area then there is a good possibility your eye make-up is to blame, while if pimples are occurring around your forehead or scalp then your hair products are more likely to be the problem. Small bumps all over the face and neck are much more likely to mean your foundation or moisturizer is to blame. Although it may initially be a case of trial and error, once the culprit is identified you can change to a non-comedogenic product and the problem should clear up relatively quickly. Luckily, because Acne cosmetic is so mild there is very little chance of scarring. PCOS is a hormonal condition affecting the ovaries, which may develop in teenage girls but can go on into adulthood, affecting women of reproductive age. Small cysts develop on one or both ovaries, which can result in infertility. Acne is a common and unpleasant symptom of PCOS, due to the production of excessive amounts of testosterone, which may be associated with increased facial hair. However, this type of acne responds well to treatment with cyproterone acetate, which is contained in Dianette, a contraceptive pill, though it does not respond well to other conventional acne treatments. Charlotte only discovered she had PCOS at 16, after being treated for acne since she was 11. Acne started in my first year at secondary school and it was awful. The spots got worse, especially along the jawline, which I now know is common when you have PCOS, and after six months I went to the doctor. He suggested several topical treatments, which included benzoyl peroxide, and at first the spots would clear up for a while but then came back. We spent the next four years going backward and forward to the doctor and I had several course of antibiotics, but still they didn’t clear my acne. Most of the time I dealt with it, until I began to get really upset in the fifth year when my friends and I were discussing the school prom. My spots were going to be more obvious than whatever dress I wore. The doctor suggested I tried the pill, as it was generally effective in treating acne, and I had some blood tests before starting treatment. It was then they realized I had PCOS and that my acne was probably linked to this condition. I didn’t have a clue what PCOS was: although I had irregular periods, this was put down to being very typical of my age, and I didn’t have any other symptoms. So it was easy to see why they had missed it. I am now being treated with the pill, and after five months, my acne is at last under control. Keeping your weight under control is desirable, as being overweight increases the likelihood of developing this condition. Eating a healthy diet is recommended for women who suffer from PCOS, such as, for example, limiting sugary foods and ‘white’ carbohydrates, and eating wholegrain carbohydrates instead, plus small regular amounts of protein, fresh fruit and vegetables. Reducing stress often helps with the acne as well. Only recently has research been able to link diet to acne, a factor that dermatologists and other health professionals had rejected for years. The connection between diet and acne is linked to the relationship between the types of foods consumed and the chemical changes that occur within the body at cellular level during the breakdown of food by digestion. Foods are also known to contain certain natural and synthetic hormones, and it is thought these disrupt the natural hormonal balance of the body. Researchers found that a high glycaemic diet, typical of Western cultures, has a direct influence on blood sugar levels and increases insulin production, which is thought to make other hormones reactive. Milk – in particular skimmed milk, as it contains higher levels of whey, which is high in protein – naturally contains the bovine growth hormone, and this hormone is also thought to distort the natural balance of hormones within the human body. While scientists are in agreement about a direct link between acne and hormones, the understanding of what triggers the hormones to induce acne is still being researched; however, in the United States, where the majority of dairy products contain synthetically injected bovine growth hormone, scientists have been aware of this connection for some time. Leading US dermatologist Nicholas Perricone believes that foods which cause inflammation in the body, such as saturated fat in animal products and hydrogenated fat in processed foods, are directly linked to acne; he excludes all dairy produce and these types of fat as part of his acne treatment plan. Sometimes a lack of nutrients is thought to cause acne. As the digestive system becomes depleted, so the natural bacteria in the gut (probiotics) are reduced and unable to process food and toxins properly. As a result, toxins are eliminated through the skin, causing skin problems including acne. Sugar naturally found in most foods, increases testosterone production and produces an insulin response, which in turn creates inflammation and the insulin growth factor IGF-1, thought to induce acne in both men and women. Insulin is a hormone that regulates carbohydrate metabolism and has an active role in protein and fat metabolism. When you are insulin-resistant, your body does not respond to the normal amounts of insulin released and blood glucose levels rise, causing an imbalance of blood sugar. The high blood sugar levels increase the levels of insulin and IGF-1, which increases the production of male hormones and androgens and encourages keratinocytes – the specialist skin cells implicated in acne – to increase. The pancreas, a gland organ in the digestive and endocrine system and an endocrine gland, produces several hormones, including insulin, and health problems occur when it cannot keep up with the demand for insulin. Over a period of time, this will usually result in type-2 diabetes. These are both fat-soluble vitamins, and necessary for healthy skin. Usually these vitamins do not need to be taken daily, as the body can store any excess for future use. However, many people who suffer from acne have been found to have low levels of both of these vitamins, which are so closely related that a deficiency in one will usually incite a deficiency in the other. Vitamin E is thought to help prevent oil trapped within the pores from becoming hard and rancid, and lowers the chances of painful inflamed acne lesions, while at the same time repairing the skin. However, vitamin E reaches the surface of the skin via oil secretion from the pores: blocked follicles will prevent this vitamin from reaching the skin’s surface, so that it is unable to lessen the inflammatory effects of the acne lesions. Vitamin A not only maintains the health of the skin but also strengthens the immune system. Its effects are similar to retinoids and some conventional acne treatments, such as Retin A, are derived from vitamin A. you can read more about the good food sources of these vitamins in my article on acne and diet. This is a form of acne caused by heat, constant pressure, covered skin or irritation from repetitive friction against the skin. It is known as Acne mechanica, and outbreaks of acne occur wherever the irritation takes place. Wearing a helmet or chinstrap, for example, will enclose the skin, trapping the heat and causing irritation around the forehead or chin. Playing the violin for long periods of time can create an irritation to the neck; other irritations can be from shoulder straps, tight uniforms, headbands and backpacks.